The failure to file a Foreign Bank Account Report TD F 90-22.1 (FBAR) for an offshore bank account has led to the seizure of an Alaska plastic surgeon’s $4.6 million dollar account at a Seattle branch of Bank of America. According to the complaint filed in District Court Alaska plastic surgeon Michael Brandner was involved in a contested divorce proceeding with his wife, and decided to hide around $4.6 million from her by depositing the funds in a foreign bank account in Panama held in the name of a nominee offshore company. 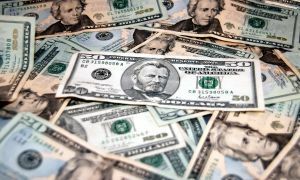 The complaint alleges that he drove the money from Alaska to Panama in the form of several cashier’s checks. He was assisted in the transaction by an individual he met in Panama. There are a number of lessons to be learned other than don’t try and cheat your wife in a divorce action. Clients always ask our tax litigation attorneys variations of the question: “How is the IRS going to find out about my offshore bank account.” The truth is that the IRS may not find out, but the consequences can be dire if they do. In Brandner’s case he had the bad luck to trust someone who later came to have his own problems (which were not even tax problems) with the authorities. Always keep in mind that if two people know a secret it’s not a secret. The case is also interesting since this is the first time to my knowledge the government has attempted to use the civil forfeiture statute to seize 100% of the proceeds of offshore funds for failure to file an FBAR. It certainly significantly ups the stakes; especially since there is nothing to stop the IRS from criminally prosecuting Brandner for willfully failing to file an FBAR, or criminal tax fraud and that may be the next episode in this drama. As a technical matter it is not clear to our tax litigation lawyers that the IRS has the right to seize the proceeds of an account simply because no FBAR was filed. For more about the technicalities our tax attorneys plan on posting a separate item next week.